Olivia Wilde embodies the ideal of natural beauty — not just in a sense that the actress and activist is clearly genetically blessed, but the fact that paparazzi shots and low-key press appearances often show her fresh-faced and dewy, as if the word "foundation" isn't even in her vocabulary. In an attempt to steal her secrets — and find out how we, too, can get cheekbones that seem to glow unassisted — we asked Wilde straight up: How many facials does it take? But shockingly, Wilde doesn't credit her poreless skin to celebrity estheticians or a dermatologist who knows their way around a laser — hell, she tells us she hasn't had a facial in over a year. Instead, she's fiercely loyal to a clean and simple skin-care routine, which she breaks down for us in full, ahead. For Wilde, sculpted, glowy skin wasn't a genetic given, but a result of decades struggling to understand how to treat it. "I have combination skin, and I dealt with breakouts throughout my 20s, and even into my early 30s," Wilde says. "All those years, I was trying to fix the problem, basically by dousing my skin with harsh acne treatments and seeing a dermatologist regularly, trying to figure out why I was experiencing both stress and hormonal acne." Due to the fact that her flare-ups were sporadic and unpredictable — popping up before, during, and after her pregnancies — it took a 360-degree lifestyle adjustment for Wilde to start seeing persistently clear skin. "When I hit 30, I made a decision that I would put my time and energy into finding a long-term skin solution," she says. "I needed something in the form of an at-home routine that would both cure my acne and nourish my skin. Health became the primary focus — no more shooting a pimple with a cortisone shot. I wanted stability." Serendipitously, it was at the point in her life where she was most desperate for a miracle solution that Wilde discovered True Botanicals, the clean, non-toxic skin-care line she now represents as the chief brand ambassador. 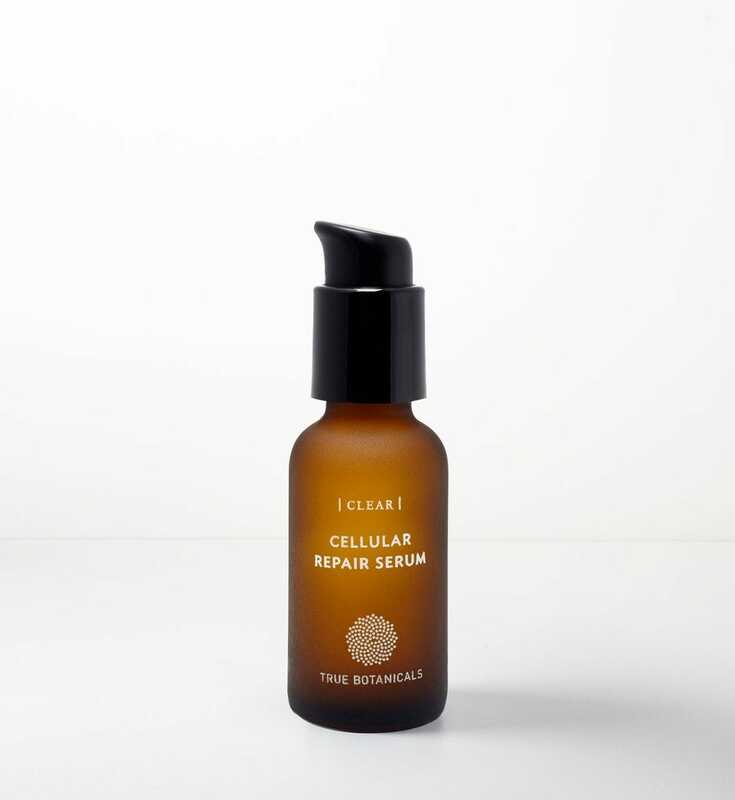 "Immediately after I met Hillary [Peterson], the founder of True Botanicals, and tried the brand's Clear line, my skin completely transformed," she says. "Now — and I’m not bullshitting you — I'll only use True Botanicals products." Breaking it down for us, the actress explains that she uses the brand's Clear collection from start to finish. "In the morning, I use the cleanser, followed by the face oil — just those two steps," she says. "And at night, I’ll use the serum mixed with one of the boosters, either the antioxidant one or the vitamin C powder. I always use the nutrient mist before and after makeup, and any time I need it throughout the day. I use the shampoo, conditioner, and the body lotion. I kid you not, it's the only brand that touches my skin — anywhere." The process of partnering with True Botanicals not only made Wilde loyal to a fully branded skin-care routine, but also altered her whole approach to self-care. She now touts the benefits of showering with plants, and says she actually looks forward to washing her face at night. "It's kind of funky, but I keep a eucalyptus plant in my shower," Wilde says. "It's been a huge game-changer for me because it's natural, calming aromatherapy. It’s so important to see beauty and self-care through a ritualistic lens," she continues. "For way too long my routine was all about just getting through it — fixing the problems I already had. Now, I never forget to wash my face before I go to bed, because it’s one of the most enjoyable parts of my day."